During March Break week, 20 confirmands from 7 East District congregations met at Concordia Lutheran Theological Seminary for the annual Confirmands’ One-Day Retreat. The theme of the day’s activities was the signs and symbols of the Christian faith. The confirmands worshipped in the seminary chapel, heard a presentation on Christian symbolism, toured the building, and then enjoyed an afternoon of swimming at the Brock University Athletic Centre. A pizza lunch topped off a great day of faith-building and fun. 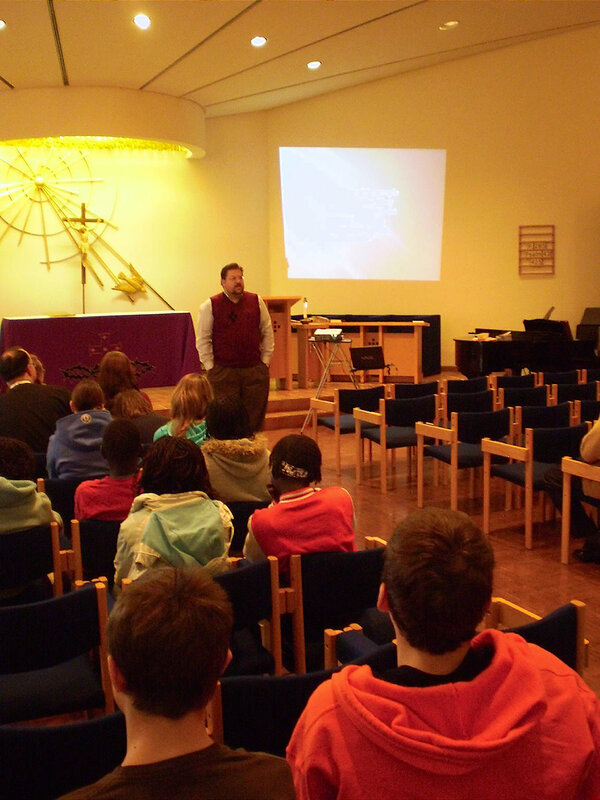 The Concordia St. Catharines Confirmands’ Retreat has been held annually for many years, the purpose of which is to introduce the youth of the congregations to the life of the seminary, and to encourage them to consider pastoral ministry or other churchly vocations in the future. Concordia, St. Catharines, urges all church members to visit both LCC seminaries at any time, and to take a more active role in the recruitment and formation of the next generation of servants. Those wishing to arrange a visit of or retreat to Concordia, St. Catharines, can contact Rev. Dr James Keller at (905) 688-2362, ext. 26, or jkeller@brocku.ca.